Fuzzy methodologies show progress day by day towards better explanation of various natural, social, engineering and information problem solutions in the best, economic, fast and effective manner. 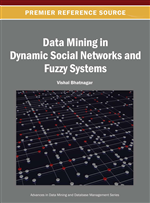 This chapter provides cluster analyses from probabilistic, statistical and especially fuzzy methodology points of view by consideration of various classical and innovative cluster modeling and inference systems. After the conceptual assessment explanation of fuzzy logic thinking fundamentals various clustering methodologies are presented with brief revisions but innovative trend analyses as k-mean-standard deviation, cluster regression, relative clustering for depiction of trend components that fall within different clusters. The application of fuzzy clustering methodology is presented for lake time series and earthquake modeling for rapid hazard assessment of existing buildings. Our social deeds including economy, administration, management, engineering, medicine and science take place in complex world where complexity arises from uncertainty in the form of ambiguity, vagueness, incompleteness, skepticism, blurriness, etc. Complexity and ambiguity are ubiquitous features that dominate most social, economic and even technical problems. The most effective way for computers to deal with complex and ambiguous issues is through fuzzy logical (FL) system analyses, which affect many disciplines and provide technological developments in diverse areas, especially in the intelligent industrial manufacture productions. The number of fuzzy consumer products and FL applications involving new patents are increasing rapidly. It is the main goal of this chapter to introduce first briefly basic conceptual requirements for FL reasoning, systems, control and problem solving through clustering techniques. Clustering approaches have many interests among qualitative and quantitative studies by scientists for description, identification and prediction purposes. Visual inspection of low dimensional data (2D or 3D) gives qualitative and subjective impressions about the clustering leading to linguistic, fuzzy numerical or qualitative inferences. This chapter will try to present the fundamental principles of trend analysis through uncertainty methods and especially fuzzy approaches with several applications. Preliminary content can be summarized with the following sayings in a rough framework, which may also be elaborated under the light of explanations later in the chapter. All traditional logic habitually assumes that precise symbols are being employed. It is, therefore, not applicable to this terrestrial life but only to an imagined celestial existence (Russell, 1948). As the complexity of a system increases, our ability to make precise and yet significant statements about its behavior diminishes until a threshold is reached beyond which precision and significance (or relevance) become almost mutually exclusive characteristics (Zadeh, 1973). As far as the process of revealing “nature's best secrets” never stops, what “we think we knew” yesterday inevitably changes today, and new vistas “whose splendor we had not even come close to imagining” constantly open to those who are thirsty for knowing. The fuzziness of knowing never ceases to exist. This is a paramount characteristic of the human knowing, which challenges humanity and constantly propels its search for truth and understanding the secrets of reality (Dimitrov, 2000). There is not even a single event that does not include uncertainty due to our ignorance, vagueness, imprecision and chance of occurrence. Uncertainty and imprecision were digested in the logical reasoning of early philosophers and rational thinkers without mathematical formulations. Observations were the prime sources of information, and accordingly, philosophers deduced rational statements about the phenomenon concerned. A set of assumptions helped to eliminate uncertainties. It is possible to summarize the early studies as having their foundations on philosophical and linguistic logical bases. Today almost in all branches of science, there are uncertainty ingredients and many scientific deterministic foundations take into consideration uncertainty and fuzzy ingredients. With the advancement of numerical uncertainty techniques such as probability, statistics and stochastic principles scientific progresses even in qualitative sciences (geology, sociology, physiology, etc.) had rapid developments, but still leaving aside the linguistic (verbal) data sources and information, which can be tackled by the FL principles only. Any natural, social, economic and political phenomena have certain and uncertain information, which can be considered fewer than two types as random and fuzzy (imprecise, vague) (see Figure 1).